Florida is known as “The Sunshine State” for good reason. Its sandy beaches, sunny warm weather, and recreational activities are all big pros to living and teaching in Florida. The cons include the occasional hurricane, resultant higher home-insurance costs, and a considerably higher cost of living in the more popular coastal and urban areas. The state was also hit hard by the economic downturn beginning in 2008. Many schools have cut their budgets, and as a result Florida now has the eighth-highest student-teacher ratio in the United States, averaging 17 students per teacher. The good news is: The educational climate in Florida has also warmed up considerably in recent years. And opportunities to join in that climate of change are growing every year. What are some of the benefits of becoming a teacher in Florida? How do I become a teacher in Florida? Florida student test scores on the NAEP (National Assessment of Educational Progress) are in the middle of the pack, compared to other states. However, Florida has come a long way in the past decade and a half. The average salary a teacher in Florida can expect to earn ranges between $43,000 and $46,000 per year. Entry-level elementary school teachers make an average of about $37,000 per year. More experienced elementary school teachers can make up to $57,000 per year, according to the Florida Department of Economic Opportunity. However, in 2014, when the merit-pay system takes effect, half of each teacher’s salary will be dependent on progress made by their students on the Florida Comprehensive Assessment Test (FCAT); the other half will be based on principal assessments, accounting for higher degrees and years of experience. The merit-pay system could prove lucrative for highly effective teachers. However, without a traditional tenure system, every teacher’s contract will be up for renewal every year. In 1998, the first year of unilateral school grading, the state came in dead last. Twenty-eight percent of Florida schools were given D’s and F’s; only 21 percent received A’s and B’s. Since that inauspicious start the state has rallied, becoming an educational success story with 76 percent of schools earning A’s and B’s, and only six percent failing. Florida’s Education Revolution initiative, launched in the aftermath of the initial NAEP results, has helped the state get back on track and hold schools accountable. The program awards $100 per student to schools that achieve a higher grade than the prior year; the majority of these funds are kicked back to teachers and staff in the form of bonus pay. Other funds are funneled into schools to reward student performance in Advanced Placement (AP) and International Baccalaureate (IB) tests; as a result, the number of students taking these exams has increased by more than 350 percent. Along with these incentives, the state also took a tough-love approach, refusing to allow third-graders to move up to fourth grade unless they could prove reading proficiency. The state’s Just Read, Florida! initiative provides professional development for teachers of kindergarten through third grade, as well as additional literacy coaches for all grades. In addition, the state raised the academic proficiency level of its own high school standardized testing, from eighth grade to 10th grade. Florida has also instituted school-choice programs, allowing parents and students additional educational options. Approximately 36,000 low-income students are awarded scholarships, enabling them to attend private or public schools of their choice. This has forced poorly performing schools to shape up or lose student funding. Another program gives scholarships to nearly 21,000 special-needs students, so that they can attend schools that can best accommodate their needs. The state has also made it easier for parents to convert a public school to a charter school, and granted easier access to virtual schools. All of these efforts have paid off, as the dropout rate in Florida decreased by 21 percent between 1999 and 2010, and performance on standardized tests in Florida has substantially improved. Another more controversial change came during the 2011 legislative session, when Governor Rick Scott signed a teachers’ merit-pay bill into law. Under the new law, public school teachers lose job security, but gain financial incentives if students perform well on standardized tests. The bill institutes a new teacher evaluation process and abolishes tenure. Teachers and their supporters fiercely objected to the measure, claiming that it puts undue pressure on standardized testing and will lead to layoffs, pay reductions, and tax increases; and several lawsuits have been filed on behalf of various interest groups, challenging the new law. Florida Education Association President Andy Ford has said that the merit-pay law “totally changed the teaching profession in Florida.” This is likely true, but no one really knows how the law will impact the profession yet. Beginning with the 2014-2015 school year, when the merit-pay system is scheduled to go into effect, it is anticipated that there will be a high turnover rate among current public-school teachers, which in turn will open doors for new teachers. Another factor more certain to affect teacher openings in Florida is the retirement rate of baby boomers, which will leave vacancies for younger teachers. Florida is already looking at a shortage in teachers with special-needs certification, especially those who work with children affected by autism; deafness or hearing impairment; emotional, intellectual, or orthopedic handicaps, speech or language impairments; or visual impairments. One of the best perks of being a teacher in Florida is having the summer off. With a variety of interesting attractions, sprawling national parks, and sunny beaches, Florida has plenty to keep teachers busy, enriched, and renewed. On the educational front, most Florida teachers are eligible for health, dental, and vision coverage; however, plans vary between school districts. There are also additional perks such as paid sick leave, tuition reimbursement, and loan forgiveness programs, depending on each school system’s policies. By joining different teaching organizations available in Florida (see below), teachers may receive additional benefits. Some teacher organizations also offer additional health insurance options. There are other protections offered by these organizations, including teacher-advocacy programs and professional development opportunities. Some teacher organizations also offer an additional benefit in the form of professional journals, from which new research, activities, and classwork ideas can be gleaned. 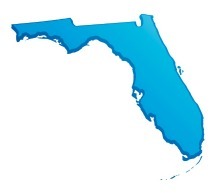 You can check out these helpful links to find more information on teaching in Florida. Depending on the situation, teaching candidates have to meet different certifications mandated through the Florida Department of Education, including a bachelor’s degree, and certification in their areas of expertise. For additional information on teacher certification in Florida, visit the Florida teaching certification website. Potential teachers who have a bachelor’s degree in education need to pass all three portions of the Florida Teacher Certification Examination (FTCE). Teachers can obtain a temporary license if they haven’t passed all three exams, are from out of state, or have not yet completed their teaching degrees; however, the temporary license is only valid for a maximum of three years. Teachers with additional certifications in high-demand education concentrations, such as special education, will have a higher chance of getting a job as a teacher in Florida.